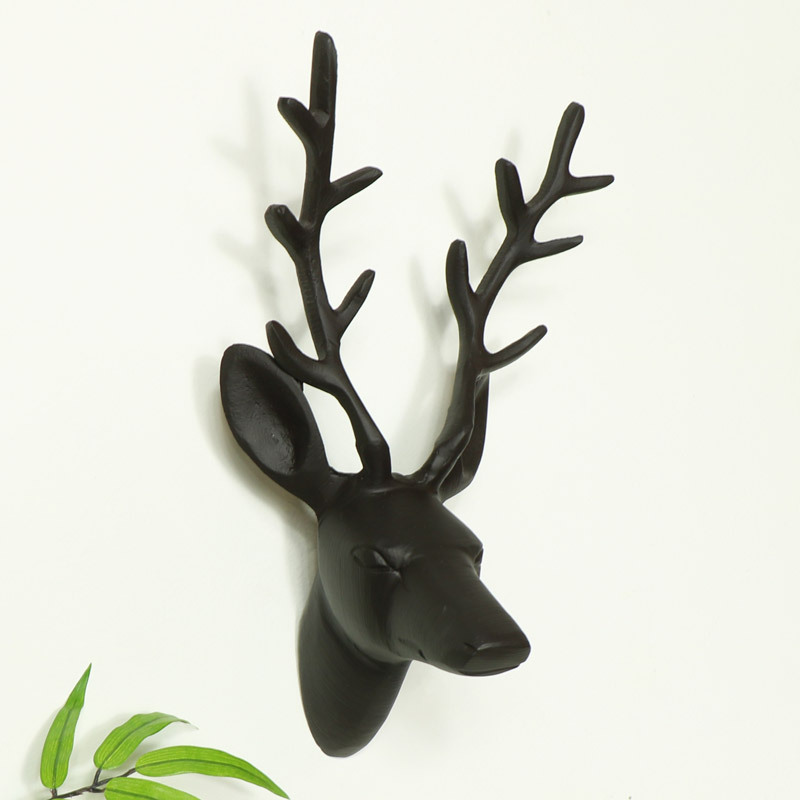 Decorative metal stag head in a matt black colour. Beautiful wall art with hints of a rustic, industrial style for the vintage, modern & contemporary styled home decor. 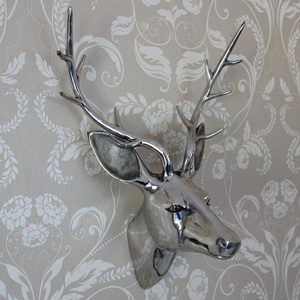 A stunning statement piece for any living room or hallway wall. 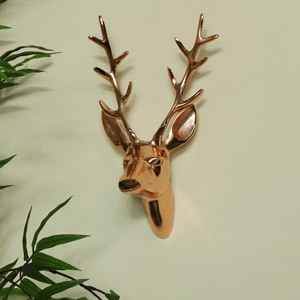 Also available in other colours with a great selection of stag & deer heads in a choice of sizes & colours. 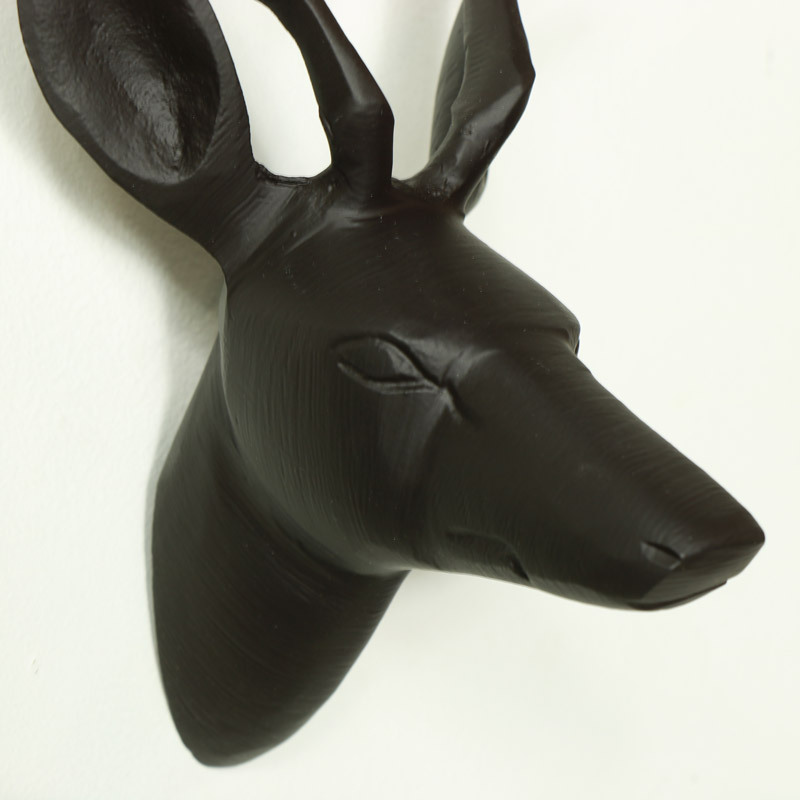 This black wall mounted stag head will make a fantastic gift idea.